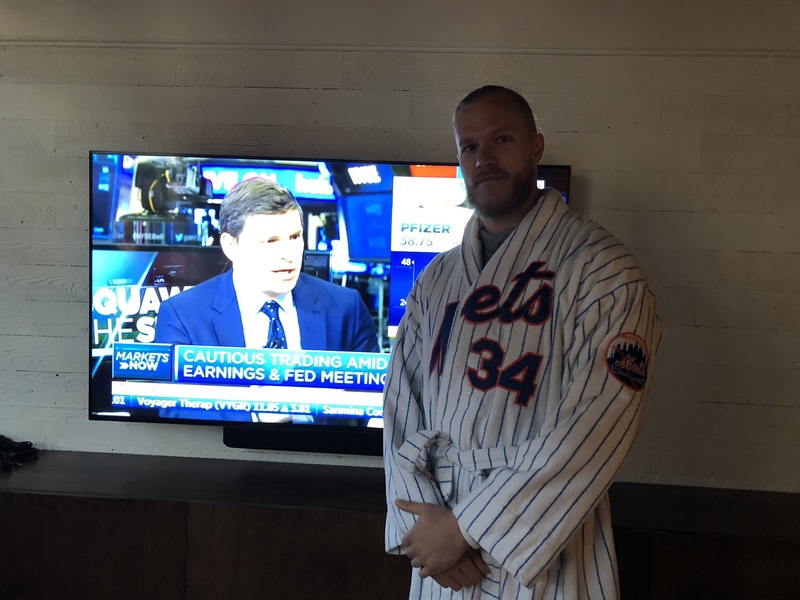 Earlier today a photo was taken of Noah Syndergaard while standing in front of his television while donning the most awesome robe ever. The robe was a replica of his jersey and it doesn’t get much more boss than that. In the past, Former Major Leaguer Kevin Millar was spotted filling his car up with gas while wearing the same version of his own robe jersey. However, from here on out, Noah Syndergaard is not only the boss of New York City, he’s now the boss over Millar in Texas. I hope and pray that Noah is as comfortable during the 2019 season while dominating games and his opposition. Syndergaard is expected to be the number two starter to begin the season, however that doesn’t mean that he isn’t an Ace.